Los Angeles, CA — November 5, 2014: Habitat for Humanity of Greater Los Angeles (Habitat LA) is pleased to announce its annual Hollywood for Habitat for Humanity Build-A-Thon (HBAT) will take place Nov. 6-8 in the Washington Neighborhood in the City of Long Beach. Habitat LA will bring together more than 800 volunteers to revitalize the neighborhood. During the HBAT, volunteers and partner homeowners will be taking part in a long-term strategy to revitalize this community – the Washington Neighborhood. In three days, volunteers will build two new homes, repair six homes for families residing in the neighborhood and provide repairs for four nonprofit organizations – The Long Beach Rescue Mission, Catholic Charities, Un Mundo de Amigos Preschool and The Guidance Center. Los Angeles, CA – September 17, 2014: On Saturday, September 20, Habitat for Humanity of Greater Los Angeles (Habitat LA) will celebrate the grand opening of its third ReStore. From 9:00 am until 3:00 pm, the parking lot of the Bellflower ReStore location will host a community celebration with food trucks, giveaways, a live remote broadcast from The Sound FM Radio Station, plus recycling and donation opportunities for local residents. ReStores are home improvement thrift stores which are open to the public and provide significant savings on a variety of items for the home. Since 2004, Habitat LA ReStores have helped divert more than 5,761,975 lbs of materials from local landfills. Habitat LA ReStores are located in Bellflower, Gardena and Norwalk. Los Angeles, CA – June 18, 2014: Habitat for Humanity of Greater Los Angeles (Habitat LA) has been named the largest non-profit Residential Developer in Los Angeles County by The Los Angeles Business Journal’s Book of Lists for 2014. The Book of Lists, published in the publication’s April 28th issue, features a list of the Top 25 Residential Developers in Los Angeles. “It is an honor to be recognized by The Los Angeles Business Journal and to be named in such esteemed company,” said Erin Rank, president/CEO of Habitat LA. “The past several years have been a challenge for residential developers, and especially nonprofit builders. We are pleased that our home production grew even during these very tough times. Our dedicated staff and visionary board are a big factor in our success. Los Angeles, CA – April 18, 2014: More than 45 students from The United States Air Force Academy, University of Connecticut and Fisher College participated in the 25th anniversary of Collegiate Challenge with Habitat for Humanity of Greater Los Angeles. Student volunteers chose to spend their spring break working in the Norwalk ReStore, as well as painting and installing siding on seven affordable and sustainable homes in the City of Lynwood. Collegiate Challenge Summer Registration (April 6-Aug. 30) is now open. Click here to register. Los Angeles, CA – April 9, 2014: In line with this year’s theme, Habitat for Humanity of Greater Los Angeles (Habitat LA) sponsored “Opening the Doors to Change”, a design activity and competition to kick off a national youth advocacy program, Act! Speak! Build! Week (ASBW), April 6-12, 2014. Students were asked to decorate a common door in a creative and artistic way to bring attention to the need for affordable housing and ASBW. Entrants submitted photos to Habitat LA and the winners were announced Saturday, April 5th during a special reception held at the Norwalk ReStore. “Today’s youth are incredibly passionate and connected, so engaging them to spread the message about the need for affordable housing is extremely powerful,” said Erin Rank, president and CEO, Habitat LA. Los Angeles, CA – March 20, 2014: Act! Speak! Build! Week (ASBW) is a student-initiated advocacy program that empowers young people ages 5-25, not only to educate themselves about affordable housing issues, but also to take action. Habitat for Humanity affiliates around the country participate annually and this year ASBW will take place April 6-12. Locally, schools and universities will participate with Habitat for Humanity of Greater Los Angeles (Habitat LA) by planning and hosting an event or activity focused on ending poverty housing, raising social consciousness, and changing housing policy. This year’s theme is “Opening the Doors to Change. 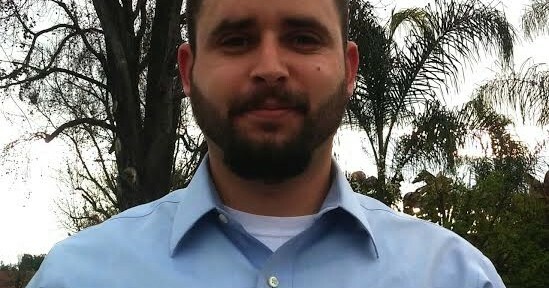 Laguna Beach, CA – March 13, 2014: Deconstruction & ReUse Network, Inc. (DRN) is thrilled to announce Rudy Carrasco has joined the organization as a project manager in its San Francisco region. DRN is an environmental and social benefit 501(c)(3) dedicated to promoting and empowering deconstruction practices and the reuse of quality building materials through collaboration. In his role as project manager, Rudy Carrasco will assist property owners with planning and oversight of their projects, while networking with local organizations and municipalities to expand awareness of DRN’s services throughout the San Francisco area. “Rudy brings valuable experience with building materials and construction management to our team,” said Lorenz Schilling, president of DRN. “He also understands the powerful impact the practice of reuse can have in the community. Los Angeles, CA – February 28, 2014: Habitat for Humanity of Greater Los Angeles (Habitat LA) has been awarded $137,500 from Thrivent Financial to build a home in Long Beach, California. This will be the ninth home built in in partnership with Thrivent in greater Los Angeles. From the national partnership’s inception in 2005, Thrivent Financial and its members have now committed more than $200 million and more than four million volunteer hours. The funding is part of an ongoing partnership between Thrivent Financial and Habitat for Humanity International, called Thrivent Builds with Habitat for Humanity. Through the partnership, Thrivent members, Habitat affiliates and others partner with families across the U.S. and around the world to provide affordable housing and stronger, generous communities. Laguna Beach, CA – January 23, 2014: Deconstruction & ReUse Network, Inc. (DRN) is thrilled to announce Carrie Coffey has joined the organization as a representative in Los Angeles County. DRN is an environmental and social benefit 501(c)(3) dedicated to promoting and empowering deconstruction practices and the reuse of quality building materials through collaboration. Ms. Coffey joins a successful team led by Los Angeles Regional Manager Myles McGray and will help expand outreach to the region. “We are experiencing solid growth throughout California, particularly in the Los Angeles area so we are delighted to have Carrie on board with us,” says Lorenz Shilling, DRN president and founder. “Her hands-on experience in home remodeling and passion for reuse and recycling is a great advantage for us in being able to support the needs of our partners and reach our goals as an organization. Laguna Beach, CA – January 21, 2014: Deconstruction and ReUse Network (DRN) is thrilled to announce it is now a featured nonprofit in the AmazonSmile program, where Amazon donates 0.5% of the price of eligible AmazonSmile purchases to the charitable organizations selected by customers. To participate, shoppers sign in with their usual Amazon login info at smile.amazon.com, then search for and select “Deconstruction and ReUse Network” under the ‘choose your own charities’ space. DRN is dedicated to educating people and empowering the use of deconstruction practices and the reuse of quality building materials through collaboration.